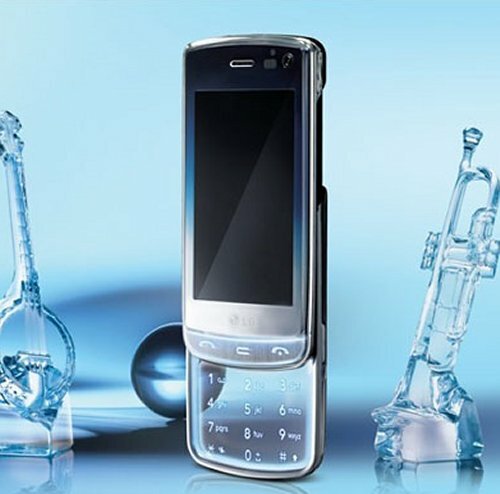 It was first shown to the general public back in February, and now LG gave us some more concrete info about their LG -GD900, which is – according to LG – the world’s first cell phone featuring a transparent keypad. The aptly (code-)named Crystal is due out in as much as 40 different countries starting next month already. We had a hands-on video of the device last month (the video can be found again below), saying it’s damn pretty. It still is, and the specs aren’t too bad either. The LG-GD900 comes with a 3-inch WVGA touchscreen, an 8MP camera, Wifi, Bluetooth, TV Out, HSDPA and 1.5GB of internal memory (expandable to 32GB). The cell phone will be available in countries in Europe, Asia and Latin America (but no word on pricing or a release in the US yet) from July 1.